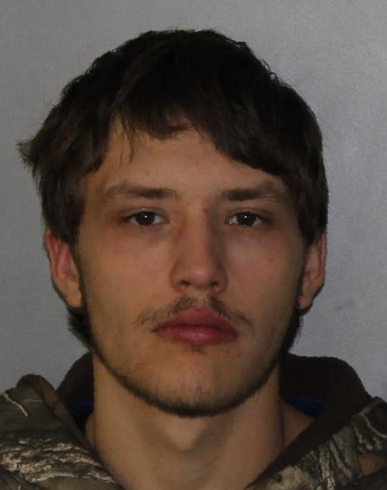 A 20-year-old Frewsburg man was charge with Criminal Contempt 1st on September 20, 2018 following the report of a threat at a Hinsdale school. According to New York State Troopers, at approximately 8:00 A.M., officers out of SP Olean responded to a complaint of an apparent threat at the Hinsdale Central School in Hinsdale, N.Y. The administration of Hinsdale School put the facility in lockdown after a student reported a threatening message with a vague reference to a gun was made. Further investigation revealed that Nicholas A. McChesney sent a text message to the 17-year-old student suggesting that he would harm others with a gun and that the school should be "locked". BCI members made contact with McChesney who acknowledged that he was having mental health difficulties and agreed to be evaluated at a local hospital after stopping in Salamanca, NY. Troopers in Salamanca took McChesney into custody without incident. Investigation revealed that a valid stay away order was in place between the 17 year old and McChesney and that he was convicted of Criminal Contempt 2nd in March of 2018. This bumped his current contempt charge to a Contempt 1st. McChesney was transported and processed at SP Olean. He was arraigned in town of Olean Court and remanded to the Cattaraugus County Jail in lieu of 5K / 10k bail bond. Investigation verified that McChesney had no access to firearms.